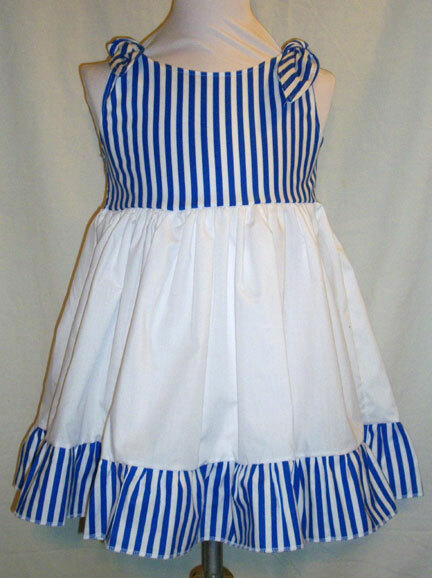 Simply adorable, this halter sundress features royal blue and white striped cotton bodice with tie shoulders white cotton gathered skirt and matching striped ruffled hem. So ready and resistant to the hard play that kids engage in. So perfect for the Sunshine Girl. 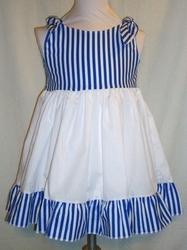 100% cotton halter sun dress is a fun addition to any wardrobe!